Limited Time for Knitting / Unlimited Inspiration | Knit Like You Mean It. So, people did tell me that it would be difficult to knit after I’d had a baby, and they were right. No, no, this isn’t some hidden physical consequence of labor; it’s just that I’ve got this baby on my hands and, often, in my arms. I do a lot of baby-wearing, and a lot of walking her around in our super-duper buggy, but still it’s a challenge to have two hands and my brain free, all at once. 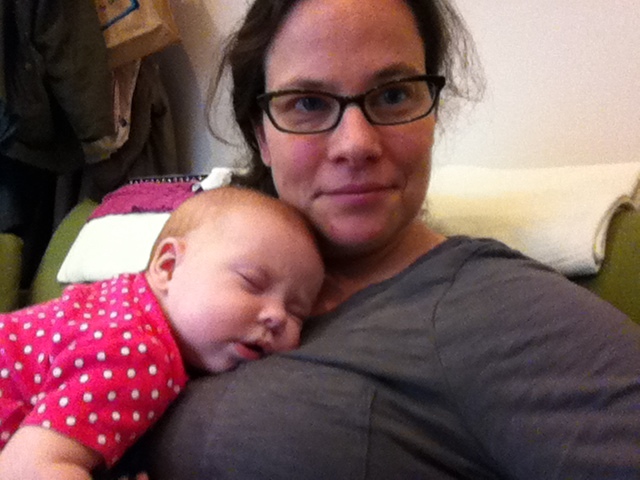 A photo of the day I was able to knit with Alex asleep on my chest. [You can’t see me knitting, because I couldn’t knit AND photograph with her asleep there. There are limits.] See how pleased I am with myself? First knitting in two and a half months, people. So I don’t quite know what I’ve been doing, planning all these new projects. 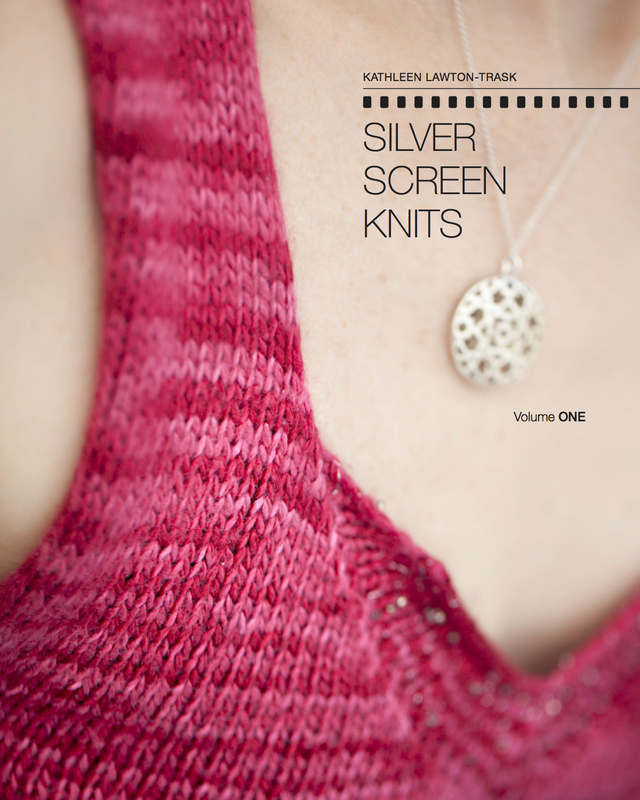 I put it down partly to the inspiration of P3 2012, partly to the startitis many of us knitters get in the fall, and partly to wishful thinking. I’ll be lucky if I get half of what’s in my mind done. But a girl can dream, right? Countess Ablaze makes some amazing colors. I want these to be something for me, but I’d look nuts in them. Instead, I’ll make something for Alex, and she’ll look cute. It’s The Bluefaced Baron from Countess Ablaze, whom we met in Wales earlier this month. Look at those colors! Ooh, aah. DK Weight Superwash Bluefaced Leicester yarn. I’m thinking a cute little striped sweater for Alex. 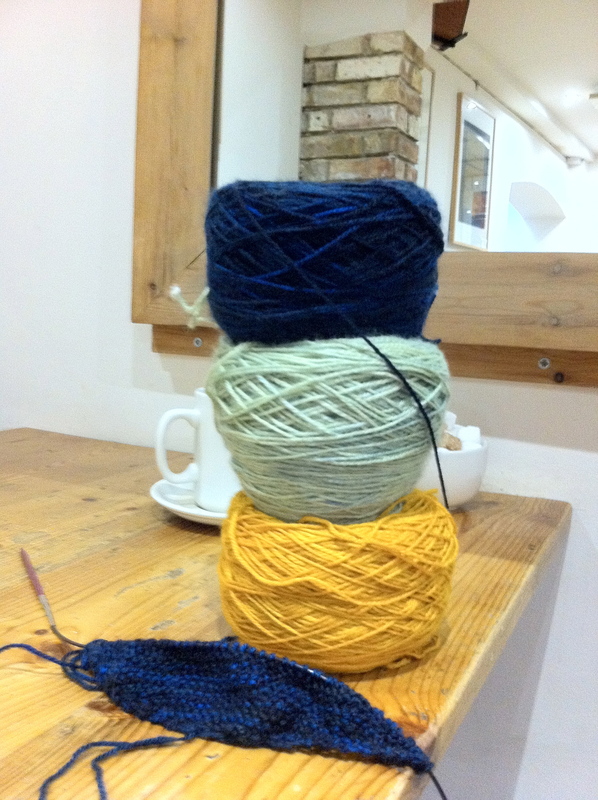 The very beginning of a Color Affection Shawl – with a cup of tea at the Jericho Cafe. This is a good project in that it’s garter stitch and so can be done pretty brainlessly. But I did choose this dark navy blue yarn for the beginning, which means I can’t knit it in semi-lit rooms. [Right now I’m doing a certain amount of sitting in our semi-lit bedroom, next to Alex’s co-sleeper, hoping for her to fall asleep.] But, hey, I was able to do a little knitting on this today while Little Miss Feisty took her morning nap. This pattern is so fun, and a really good use for sock yarn. Since I seem to have a lot of sock yarn in my stash, I’m considering making more than one. Is that crazy? Meanwhile, the fabulous Rachel of Porpoise Fur has released a pattern: the Leaf Peeper Cowl. This looks so fun. I can’t spin, and learning to do so would probably lead to more fiber in the house (untenable right now), but I have some bulky yarn in my stash that would look gorgeous in this…and, hey, a quick knit seems like it would be pleasing. Anyway, I’ll let you all know how I get along. In the meantime, what’s on your needles? What would you love to knit, but you don’t have the time? My friend Steph is in the last bit of her Color Affection and she did love it but now the rows are soooooo lonnnnnnnng. (I felt the same way about my Stripe Study Shawl.) Those are some great colors though! Wish I could’ve been at P3 again this year to meet Miss Alex and to spend time with all you wonderful knitters! An excellent point…but since I am a long way from completion I am going to just pretend that isn’t in the future. 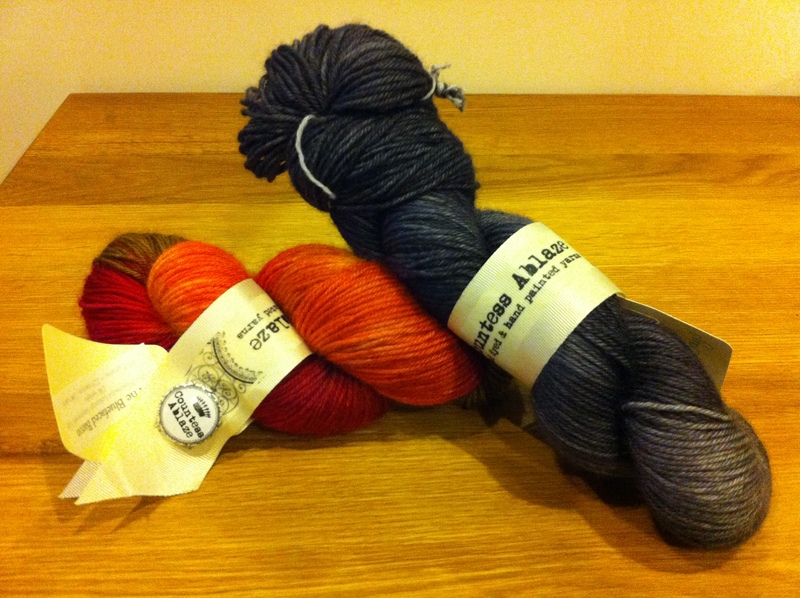 How did you like your Stripe Study shawl? And might we see you at P3 next year?